For about a year I have been receiving the obits from our local newspaper the Spokesman Review via RSS feed, and so every morning when I opened Google Reader I would have the obits from the Spokesman Review (note the Spokesman Review charged an extra dollar to put an obit online so a few did not show up in my RSS feed). Saturday the 29th the RSS feed quit, so Sunday I went to the newspaper website to see what had happened. Obits are not on the newspaper website any more, they are now Powered by Legacy.com. While you can search for a recent obit for free they do not offer a RSS feed, but will send you obits to your E-Mail for a FEE. They have a few options one for $199.99 a year to search all the newspapers and send E-Mail for the FIVE keywords you pick (You can change them when ever you want). Second option same keywords but just one newspaper $14.99 a year. Third package is Genealogy Package for 19.99 a year and they search for five surnames in all their newspapers. All three packages have a FREE 30 day trial. The Puget Sound Chapter of the Association of Professional Genealogists (PS-APG) was established in the Summer of 2002. The Chapter was composed of genealogists who were all members of the national Association of Professional Genealogists (APG) www.aspgen.org PS-APG is now one of twenty-two APG sponsored chapters that have been established throughout the United States. You can learn about those chapters by going to this link: www.apgen.org/chapters/index.html. These active genealogists wanted to provide a venue for genealogists to network with other genealogists and improve their research and business skills. The PS-APG chapter was approved in August of 2002 and held their first meeting in October of 2002. We have been active in the State of Washington for seven years. PS-APG continues to hold their meetings 5 times per year: February, April, July, October and December. The meetings start with a lecture on a genealogical topic for we feel education is important. Sometimes we will take a field trip to a local archive to learn about the holdings. In October we will be visiting the King County Archives in downtown Seattle. After the presentation we have our business meeting. Go to this link to learn more about our meetings and the educational presentations that we have sponsored both currently and in the past: http://www.psapg.org/meetings.html. In January of 2009 PS-APG launched the new updated Chapter website and we are very proud of it. We invite you to visit our webpage at: www.psapg.org. You will find a link to our Chapter Officers and we encourage you to contact them with your questions. Our Meetings link features our up and coming Meetings and those we have held in the past. Our Events page features local and national workshops, seminars and conferences. Our Member Profiles house the biographies of each of the PS-APG members. This includes their knowledge, skills and accomplishments in genealogy. Hopefully our Membership link will answer questions about how you can become a member of PS-APG and the national APG. Our Project link currently features our Scrapbook Project which we are working on in joint cooperation with the Seattle Public Library. PS-APG is the first Chapter to be awarded the national APG Grant for funding a special project. PS-APG Chapter News features each of our members involvement with the field of genealogy and local events. Our Education link is there for those aspiring genealogists to obtain information about educational opportunities of a more advanced level in genealogy. In the next few months PS-APG will be launching a new Resources page with lots of links to genealogical research in the Puget Sound area. On our PS-APG Home page is our link to the national Association of Professional Genealogists www.aspgen.org where you will learn about the national organization. One of the best features of APG is the Directory where one can go to find and hire a professional genealogist. This directory features the biographies of of the members of APG. One can search on a name, a research specialty, location and more. They also have a membership page giving all the features of becoming a member. The About page is filled with information about APG as a professional organization for genealogists. The Association of Professional Genealogists was created in 1979 to provide an independent organization whose goals were to support professional genealogists in all phases of their work, from the amateur genealogist wishing to turn knowledge and skill into a vocation, to the experienced professional seeking to exchange ideas with colleagues and to upgrade the profession as a whole. In 1980 they held their first conference. Today that conference is held the day before the Federation of Genealogical Society Conference. It was named the Professional Management Conference for APG. It is a day filled with lectures on research and business building. The APG has two functions. To provide a professional organization with conferences, publications, education and member advertising and to promote the individual members. The second function is to bring to the field of genealogy to a higher standard of excellence. The APG members include: Adoption specialists, archivists, authors, booksellers, columnists, heir searchers, instructors, librarians, lineage society experts, publishers, reunion planners, researchers, lecturers, translators, web designers and many more talented individuals. There are many talented individuals that are members of APG. When you hire one of the members of APG you can be assured that they are bound by the APG Code of Ethics. We believe that by hiring a member of APG you will not be faced with a problem; however, if you are you can file a complaint and it will be researched, see the guidelines at http://www.apgen.org/ethics/index.html. APG is not the Board for Certification of Genealogists which is an entirely different organization. Their website is at: www.bcgcertification.org/index.html. The BCG certifies genealogists by having them submit a project based on their rigorious guidelines. A BGC certified genealogist has to resubmit every 5 years to keep current. APG does not have as strict a criteria. However, everyone who is a member of APG must agree and abide by the Code of Ethics. You do not need to be a certified genealogist to be a member of APG. However, many APG members have advanced degrees which you can view at the APG directory online at the website. If you are a certified genealogist or an accredited genealogist you can be a member of APG. APG encourages certification. Accreditation is secured through the International Commission for the Accreditation of Professional Genealogists (ICAPGEN) http://www.icapgen.org/Programs/process.htm. For more information please feel free to contact the President of PS-APG, Bonnie Jean MacDonald at BON_MAC@msn.com or view her Members profile at the PS-APG website: www.psapg.org. You can also find Bonnie at the PS-APG conference table she would be happy to meet you or answer any of your questions about becoming a professional genealogist or hiring one to help with your research challenges. At our table will be plenty of brochures for your information. We look forward to having the PS-APG as a vendor at the state conference and hope you drop by their table for more information! 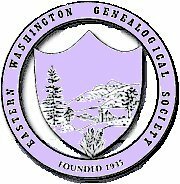 If you are interested in being a vendor at the Washington State Genealogical Society's 2009 State Conference, would like to advertise in our syllabus, or if you have an item or service which you would like to donate as a door or raffle prize, please contact Miriam Robbins Midkiff. FALKÖPING, Sweden—FamilySearch and Svensk Arkivinformation (SVAR), a division of the National Archives of Sweden, announced today the launch of the largest online indexing initiative undertaken to-date. The two groups unveiled plans to engage Swedish volunteers throughout the world to help create a highly searchable, free online index to the historic parish registers of Sweden—200 years of recorded Swedish history as documented in the Sweden church records—comprising over 400 million names. In 1608 the Archbishop of Sweden asked the clergy to begin making records of births, christenings, marriages, and burials of all the residents of Sweden. By 1686, they were conducting regular examinations of the population of each parish. 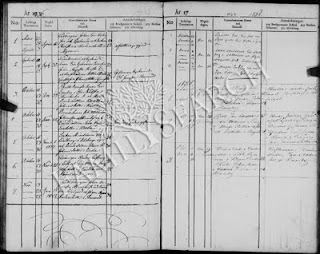 The church records (often called “parish registers” or “church books”) span over two centuries and chronicle the vital life events of an estimated 418 million people who moved in and out of parishes in Sweden. “The church records are a key source for genealogists seeking Swedish ancestors because nearly everyone who lived in Sweden was recorded in a church record,” said David Rencher, FamilySearch chief genealogical officer. “The challenge now is to make those records, which are written in Swedish, available to researchers worldwide,” concluded Rencher. “We are very pleased with the excellent cooperation we have enjoyed for many years between FamilySearch and the National Archives to microfilm and scan the Swedish church records. Now we are going to create an index that will revolutionize the genealogy research in Sweden. The simplicity of finding and reading about one’s ancestors on the Web in the millions of scanned records will attract many beginners of all ages,” said Anders Nordström, director of SVAR. “To the academic researcher, this is an entirely new means. It makes it possible to do research within disciplines on a micro level, an extent that was never possible before now,” added Nordström. The way Swedes passed on a family name throughout the centuries is another reason why the indexing initiative is so important to family historians. “Imagine being in a Swedish community 200 years ago and 10 out of 100 people have the same first and last name as you. That’s how small the naming pool was in Scandinavia,” said Jeff Svare, FamilySearch Scandinavian collection management specialist. If you were Anders Andersson, your father could have been Anders. Your brother could have also been named Anders, as well as your uncle. To help distinguish which Anders Andersson you were referring to at the time, locals added the name of the farm (residence) of an individual to keep them straight. “Otherwise, when you’re trying to search for Anders Andersson today, your ancestor falls into the proverbial fog of same-named people and you don’t know who they are without the additional context,” added Svare. The FamilySearch index will include the residence or farm name from the individual’s vital record. This information has been extracted to assist patrons in identifying their Swedish ancestor. The goal is to engage the Swedish community in creating a highly searchable, free online index to the Sweden church records. When complete, the index will be the single largest point of access to information contained in the historic parish registers of Sweden. The free index will link to images of the original records hosted by the National Archives of Sweden (SVAR). In addition to the free public index that will be made available, SVAR might charge a nominal fee for public patrons who want to view or print the images. FamilySearch is the global leader of online indexing. It launched its online indexing program in 2008, and tens of thousands of volunteers recently helped reach another major milestone by indexing their 250 millionth name. FamilySearch currently has 65 online indexing projects underway. For this project, FamilySearch will create digital images of the Sweden church records provided by SVAR. 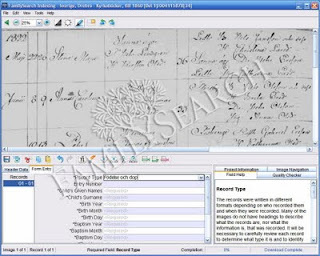 Volunteers worldwide will then use FamilySearch’s Web-based indexing tool to view the digital images and extract only the desired information from the image. That data will then be processed and published online in searchable indexes linked to the digital images. Volunteers need only Internet access and the ability to read Swedish to contribute to this historic effort. A unique quality control process ensures a highly accurate, finished index. Each document is transcribed by two different indexers, wherever they are in the world. Any discrepancies in their two extractions are then forwarded to a third volunteer—an arbitrator—who makes any needed corrections between the two interpretations. The project will start with records from Örebro, Uppsala, and Södermanland counties. Indexing will begin with the earliest year available for each parish and continue through 1860. A typical downloaded “batch” (group of records) will take a volunteer about 30 to 40 minutes to complete. The indexing utility has built-in tutorials and helps. 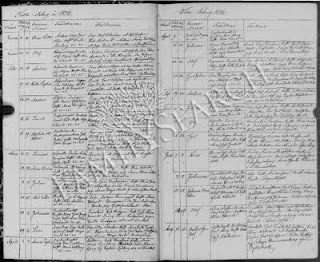 Anyone interested in volunteering for the Sweden Church Records project can do so at indexing.familysearch.org. FamilySearch International is the largest genealogy organization in the world. Millions of people use FamilySearch records, resources, and services to learn more about their family history. To help in this great pursuit, FamilySearch has been actively gathering, preserving, and sharing genealogical records worldwide for over 100 years. FamilySearch is a nonprofit organization sponsored by The Church of Jesus Christ of Latter-day Saints. Patrons may access FamilySearch services and resources free online at FamilySearch.org or through over 4,600 family history centers in 132 countries, including the renowned Family History Library in Salt Lake City, Utah. The National Archives (www.statensarkiv.se) and the regional state archives supervise all public records of the agencies of the central government, as well as regional and local authorities in Sweden. The Military Archives and the Research Center SVAR (Swedish Archive Information) are part of the National Archives. 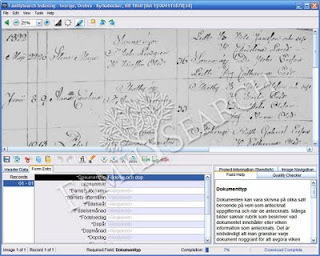 SVAR provides research facilities, produces and distributes microfiche, and provides scanned and digitalized records on the Web (www.svar.ra.se). The Daughters of the American Revolution (DAR) and the Sons of the American Revolution (SAR) will be jointly hosting a vendor table at the Washington State Genealogical Society's 2009 State Conference which will be held September 11 - 13 at The Davenport Hotel in Spokane, Washington. The DAR is a service-oriented organization emphasizing Patriotism, Historical Preservation, and Education for women who can trace an ancestor back to the Revolutionary War, which he or she supported by joining the Army, Navy or a State Militia or assisted the patriot cause in any way. A national organization, they are organized on the local level through Chapters, of which there are four in Spokane County and 36 in the State of Washington. The four Spokane chapters are the Esther Reed, Jonas Babcock, Spokane Garry, and May Hutton Chapters. * the unifying force of e pluribus unum that has created, from the people of many nations, one nation and one people. Like the DAR, the SAR is organized at the local level via Chapters. There are four chapters in Washington State, including the Spokane Chapter. If you know or believe your ancestor served the cause of the American Revolution, members of the DAR and SAR will be happy to answer your questions during the conference about their organizations and provide you with printed information to that effect. They will also be selling some of their pins. Many members of the DAR and SAR are also members of local genealogical societies and are well-experienced in lineage and Early American research. We welcome the DAR and the SAR to our conference! London, England & Tel Aviv, Israel – August 13, 2009 – MyHeritage.com, a leading family and genealogy Website, today announced the release of Family Tree Builder 4.0. With more than 5 million downloads so far, Family Tree Builder is the world’s most popular free genealogy software, allowing seasoned pros and beginners alike to build family trees, research their family history, add photos and videos, and obtain unique Smart Matches™ with other family trees worldwide. The key improvements of the new version include a map module, a family toolbar with Family Chat™ and extensive support for albums to organize a family’s photos, videos and documents. The new family toolbar provides direct access to family sites on MyHeritage.com, adds powerful genealogy search and features Family Chat – a text, audio and video chat system built specifically for family use. Members also receive useful birthday reminders on the family toolbar without leaving the Web page they are on. The Family Tree Builder software – free to download at http://www.myheritage.com/family-tree-builder – is already well respected by family history enthusiasts for its ease of use and excellent handling of photos and other digital media. The addition of albums for organizing photos, videos and documents makes it an even more useful tool. Family Tree Builder 4.0 also adds slideshows for showcasing family photos in appealing ways; and a new screen saver that displays family photos based on tagging and face recognition technology. MyHeritage.com is a leading online destination for families, where people can find relatives, research family history, and stay connected with family members across the globe. In addition, MyHeritage.com offers automatic photo tagging technology that makes it easier to label, organize and search for digital photos, giving families another fun way to stay in touch. MyHeritage.com was founded by a team of people who combine a passion for family history with the development of innovative technology. It is now one of the world’s leading online networks for families, and the second largest family history website. MyHeritage.com is available in 34 languages, is home to more than 33 million family members and hosts profiles of 360 million people. Susan Faulkner, member of the Tri-City Genealogical Society and one of the Four Fantastic Presenters for Session D at the upcoming Washington State Genealogical Society's 2009 State Conference was interviewed this morning about her brand new book, Early Pasco, by KVEW-TV. Susan will be sharing how to take a research project from start to finish and through the publication stage at her presentation at the conference. We look forward to the presentation and the opportunity to purchase her book! The Spokane area RootsMagic Users Group originally scheduled for Thursday, August 20th, has been canceled, due to recent low attendance and the fact that the group leaders are moving from the area. All future meetings are discontinued, unless someone is willing to lead the group. If you are interested in leading this group, please contact Trudy Lundy. Ancestry.com is excited to provide FGS conference attendees the opportunity to have their family records scanned, for free, on high–speed scanners. The scanners will be available for up to 15-minute scanning sessions on Thursday, September 3, through Saturday, September 5, during the exhibit hall hours. Scanning-session signs-ups will open each morning—sign up Thursday morning for a Thursday time slot, Friday morning for a Friday time slot, and so on. The scanning machines and sign-ups will be located in the Toltec Lobby registration area of the Statehouse Convention Center. There is always a possibility that damage to older, more fragile documents may occur during the scanning process. Ancestry.com urges patrons to use their best judgment when choosing documents to be scanned. PROVO, Utah, August 19, 2009 -- Ancestry.com, the world's largest online resource for family history, today announced the release of Ancestry.com Family Tree Maker 2010, a new and improved version of the world's No. 1 selling family history software. Family Tree Maker 2010 provides users the tools they need to build their family tree, record their memories and organize their family photos, stories, videos and audio clips in a way that will help them easily capture and share the story of their ancestors. Additionally, this new software provides unique ways to view your family history. Users can now track the migration paths of a person and their family through time, by mapping event locations with Microsoft® Bing™ Maps. They can also view relationships between any two people in their family tree by using the improved relationship calculator and create family books made from information and photos from their tree. Users can also utilize the robust collection of family history records on Ancestry.com and powerful search features - without leaving Family Tree Maker. When connected to the Internet, Family Tree Maker 2010 automatically searches Ancestry.com for historical documents about the individuals in the user's family tree. With a few mouse clicks, users with an Ancestry.com subscription can view and import these historical records into their family tree. What’s New in Ancestry.com Family Tree Maker 2010? · Improved integration with Ancestry.com – Easily download your Ancestry.com family tree, including photos and stories, directly into Family Tree Maker 2010. · New and improved charts and reports – Tell a richer family story with numerous improvements to charts and reports including a new timeline report, improved family group sheet and genealogy reports. · Better ways to organize photos and other media – Easier and faster ways to add, link and categorize photos and files in bulk. · Photo Slideshows – Create and share slideshows based on images included within your family tree. Slideshows can also be exported to share with others. · Family books made from your tree – Create a book about your family history to share with friends and family. · Standard source templates – Cite the right information in your records with access to powerful sourcing tools that let you document and rate each citation. · Robust relationship calculator – Quickly calculate the relationships between any two people in your tree. · Scanner support – Add photos to your tree directly from your scanner and organize them into categories at the same time. · Extended family birthday calendars – Easily create and share calendars that show family birthdays and anniversaries. · Extensive geographical migrations – View a person or family timeline with event locations, like births, marriages, residences and death, mapped geographically to show migration paths you can follow through time. · Improved performance – faster load times and quicker performance across the application. We have built Family Tree Maker 2010 with our broad range of users in mind. The software spans the range of user ability with an easy-to-use interface that also offers advanced, robust features for even the most experienced genealogist. Family Tree Maker 2010 is now available to purchase online at http://www.familytreemaker.com starting at $39.95. The program is also set to be released in select retail stores. * Internet access required for Microsoft Bing Maps and other Web integration. Ancestry.com is the world's largest online resource for family history and has digitized and put online over 4 billion records over the past twelve years. Ancestry users have created over ten million family trees containing over one billion profiles. Ancestry.com has local Web sites directed at nine countries, and more than 8 million unique visitors spent more than 5 million hours on an Ancestry Web site in May 2009 (comScore Media Metrix, Worldwide). For more information on Ancestry.com and its other family history resources, visit http://corporate.ancestry.com. Hamburg, August 18, 2009 – The social network for families, dynastree.com, features more than 90 million profiles from around the world and is one of the largest communities of families worldwide. dynastree now introduces a new search function which automatically scans searches for potential relatives, and automatically notifies the user about matching profiles. dynastree's large, international database is steadily expanded and makes finding family members via the internet easier than ever before. "A person's knowledge about relationships within the family and the family's history is limited. dynastree's new hinting function automatically notifies you when potential relatives are found, a great service. I have discovered a branch of my family in Germany that I had no idea about" says 64-year old James Gersheimer from Kane County (IL). A further expansion of one's tree becomes possible throught the new merging function, which lets users combine existing family trees. IF a user finds new family members with a tree of their own via the hinting function, both trees can be merged into a larger, common tree. Daniel Grözinger, co-founder of dynastree, explains: "This has always been our vision: to connect the world based on user-generated content. Family trees can now be merged into one big common tree with just one click, and one meets a lot of new relatives at one dash". Sven Schmidt, the second founder of dynastree, adds: "With dynastree, we would also like to show the elder generation which opportunities the internet opens. A mere ten years ago, it would have been unimagineable to explore one's family's history so easily". The new features allow families from all around the world to connect and stay in touch, regardless of national or language boundaries. The number of families that have created their family tree at dynastree will reach 10 million during the next weeks, and the growth will continue. According to experts, dynastree.com and its international language versions have been among the fastest growing social networks worldwide in the last two years. By now, more than nine million families have created their tree at dynastree.com, and more than 15.000 new family trees are added each day. The venture capital corporations Neuhaus Partners and Hasso Plattner (co-founder of SAP) Ventures recognized the young start-up’s potential early and support dynastree.com as investors. Dynastree.com was founded by the experienced internet entrepreneurs Daniel Grözinger and Sven Schmidt. They have already founded and maintained several internet projects since studying together, such as getgo.de (an online ticketing service), and the FIFA Soccer World Cup Ticketing Center (responsible for managing the ticketing for the FIFA Soccer World Cup in Germany in 2006). a weekly genealogy newsletter focusing on genealogy research methodology and interpretation. Every week I look at a record or a problem from one of the many families of my children scattered across the US and Europe. "Casefile Clues" does not try to "scoop" the latest news, rather I focus on using and interpreting records. My goal is to give you ideas to help you with your own research. This weekly column is available by subscription only. Annual and quarterly subscriptions are available at $15 and $6, respectively. You may have seen this mentioned on other blogs (and I'm sorry I didn't get this posted earlier...was out of town and ill), but WorldVitalRecords has extended their free site access through Tuesday, August 18th. No credit card is required; just a name and e-mail address. If you are a RootsMagic user, or are simply curious about this genealogy software program, you may be interested in the RootsMagic Users Group, which meets at 7 PM on the third Thursday of each month at the LDS Church at 808 E. Sitka (this month's meeting is on August 20th). Lew and Trudy Lundy lead this group. For more information, e-mail them here. In the next couple of weeks, we'll be highlighting the various vendors that will be exhibiting at the Washington State Genealogical Society's 2009 State Conference on September 11 - 13 at the Davenport Hotel in Spokane. We have an amazing lineup of vendors. Be sure to stop by their tables to check out their wares and services! 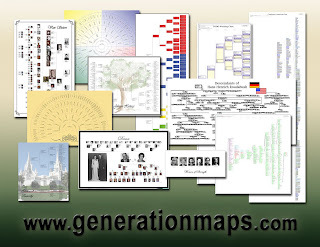 Generation Maps, your comprehensive genealogy chart printers, will be printing charts at the Washington State Genealogical Society's 2009 State Conference in Spokane (September 11 - 13). Just bring any genealogy computer file and tell us how you want your chart to look, and it will be printed while you wait. A wonderful, easy way to explain to your family members the research that has been accomplished. Generation Maps will also be selling their gift certificates at 20% off for beautiful decorative charts and Canvas Giclee fine art photo reproductions. The gift certificates make great gifts and allow the user to work with the design professionals at Generation Maps to make a one of a kind expression of their family. Let Generation Maps help you get your research out where you can see it and surround your family with a sense of their heritage. WSGS and EWGS are excited to have Generation Maps exhibiting at the state conference. Be sure to bring your family tree on flash drive or DVD to get your chart made! There will be no Spokane Area Legacy Users Group meeting for the month of August. The group will meet again on Wednesday, September 16th, from 1:30 to 3:30 PM in the meeting room of the Shadle Park Branch of the Spokane Public Library at 2111 W. Wellesley. Regular attendees will take turns in the role of moderator for each meeting. If you have more questions, please contact Donna Potter Phillips here. A reminder will be posted on September 9th on this blog. The long awaited King County Marriage records from 1855 to 1940 are now available online at the Washington State Digital Archives. As of August 1, records up to 1940 have been scanned and indexed and are searchable on the website. Although the project will not be complete until the end of the year, Marriage Certificates from 1855-2000 and Marriage Returns from 1891-1939 will be available and searchable as they are indexed, beginning with the earliest years. The collection contains over 1 million records. Marriage Certificates, filed with the County Auditor following the marriage ceremony, provide marriage license number, date, and county; place and date of marriage; names and county of residence of bride and groom; names of witnesses; and name, residence, and official station of the person performing the marriage. Marriage Returns, returned to the County Auditor from the person performing the marriage ceremony, contain more information than Marriage Certificates. Marriage Returns generally provide the names and birthplaces of the bride and groom and their parents; residence, age, race, number of previous marriages, and occupation of both parties; place and date of marriage; name and official station of the person performing the marriage; and names of witnesses. For more information about King County marriage records program, contact Washington State Digital Archives at (509) 235-7509 or digitalarchives@secstate.wa.gov. Hamburg, August 11, 2009 – The family network dynastree.com features maps for showing the distribution of one's surname for eight countries at the moment. Such maps are not only available for the US, Canada, the UK, but also for Spain, France, Germany, Austria, and Switzerland. Versions for the Netherlands and Argentina will follow soon. The free map service, which shows the absolute and relative distribution of surnames for the respective countries, is based on data from telephone books and address databases. One can very easily and quickly get an overview of the geographical distribution and origin of one's own surname. The name of interest only has to be entered into a search field to view the corresponding map. Statistics about the number of persons with the same name are shown for single counties or regions. The relative display of the distribution also factors in the distortion caused by metropolitan areas. These maps are a helpful service and very popular among the users, it is especially used to narrow down research of one's own family history to single regions. The results can be used to research the origin of a name, and to find further trails of the family's history. If the name searched for is not limited to one country, the user is notified and can also use the international maps for displaying the name's distribution there. This is useful to track down ancestors or relatives if the family emigrated from a country decades or centuries ago. The name "Jackson" for instance is found only about 1,000 times, while there are about 640,000 entries in the US. It is therefore on the 18th rank of the most frequent surnames in the US. The surname distribution maps can also be integrated into blogs created with WordPress, dynastree.com offers such a widget. It only takes some minutes to let the visitors of one's blog access the maps. The widget also automatically recognizes the visitors' language settings and shows the corresponding map in the right language. PROVO, UT, August 11, 2009 - WorldVitalRecords.com, an online family history resource, today announced the addition of the largest number of records to be released in a single day since the site launched in 2006. To commemorate this milestone, for the first time WorldVitalRecords is offering free public access to its entire online collection of historical and genealogical records beginning August 11 and continuing through August 13, 2009. The public will have unlimited access to more than one billion records in over 11,000 databases from around the world including newspapers, census, birth, marriage, death, immigration and military records; family trees; stories and publications; and yearbooks. 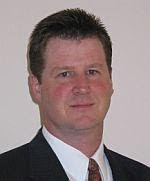 "As a genealogy enthusiast, I'm thrilled that people can go to one place like WorldVitalRecords.com, try family history research for free and find their parents or grandparents, and see how simple it is to start tracing back and discovering stories that bring family history to life," said Jim Ericson, Vice-President of Marketing for Family Link. "This is a rare opportunity to delve into the records and discover information about your family and ancestors you may have never known." Through a partnership with Newspaper Archive, WorldVitalRecords is adding access to pages from a variety of newspapers from all over the United States, dating from 1759 through 1923. This collection features images of entire newspapers from the western frontier, the Midwest at the turn of the century, and the long-time standard of our nation's news, "The New York Times" which includes over 7 million names. Newspaper Archive produces the largest historical newspaper database online, and the collection is fully searchable by keyword and date, and individual pages can be saved or printed. According to Gena Philibert Ortega, Genealogy Community Director for FamilyLink, "Part of the fun of family history is uncovering details about our ancestors’ daily lives -- the events of the day, the goods and the services they bought. Newspapers allow us to better understand our ancestors." Living in a country of immigrants, ship passenger lists and other records documenting immigration can be an essential part in learning more about your family history. It is a thrilling experience to see their names transcribed on paper the day they entered this country through the Port of New York. Browsing and searching these passenger lists is a perfect way for someone to start researching their family history. This record collection provides documentation of over 150,000 passengers who arrived on nearly 8,000 ships at one of the busiest ports in the United States, New York, from 1820-1832. In partnership with the website E-Yearbook.com, WorldVitalRecords is doubling its collection of digitized yearbooks. This collection features university yearbooks from the late 1800 to mid 1950s. E-Yearbook.com houses the largest collection of old college yearbooks on the Internet. Universities featured this week include Duke University, University of Oklahoma, Iowa State and the College of William and Mary. Other records being released on the site include birth, marriage, tax lists, military records, and death records from Maine, North Carolina, Kentucky, Maryland, Massachusetts, New Jersey, New York, Virginia, Pennsylvania, New Hampshire and South Carolina. Focused on helping users discover and share their family history, WorldVitalRecords adds new records to their online collection everyday. WorldVitalRecords.com is simplifying family history research by providing many easy-to-use tools and resources to discover and connect with others interested in family history. WorldVitalRecords provides access to more than one billion international and U.S. records WorldVitalRecords.com provides affordable access to genealogy databases and family history tools used by more than 258,000 monthly visitors. The site registers 3.6 million monthly pages views and serves tens of thousands of paying subscribers. With thousands of databases, including birth, death, military, census, and parish records, WorldVitalRecords.com makes it easy to fill in missing information in your family tree. WorldVitalRecords is part of the FamilyLink.com, Inc. network of family-focused interactive properties including, GenealogyWise, WebTree, WorldHistory, and the We're Related and My Family applications on Facebook. RootsMagic will be showing RootsMagic 4, the newest version of their award-winning genealogy software. See new features like web search, shared events (witnesses), person and place mapping, "Evidence Explained" based SourceWizard, and much more. Plus see how RootsMagic 4 can be run directly from a flash drive. RootsMagic will also be showing their other products: Personal Historian, Family Atlas, and Family Reunion Organizer. Stop by their table and meet Bruce Buzbee, the developer of RootsMagic 4. Bruce will also be one of the Four Fantastic Presenters during Session C on Saturday. We are excited to have RootsMagic, one of the premier genealogy software programs, and its developer, Bruce Buzbee, be exhibiting at the conference! PROVO, Utah, August 2, 2009 -- Ancestry.com, the world's largest online resource for family history, today announced an addition to its Jewish family history record collection through collaboration with two leading organizations committed to the preservation of Jewish heritage. Ancestry.com has aligned with the American Jewish Historical Society (AJHS), which maintains millions of records that bear witness to the contributions of the American Jewish community to life in the Americas from the 16th century to the present, and Miriam Weiner’s Routes to Roots Foundation (RTRF), an internationally-known firm that specializes in Jewish research in the archives of Eastern Europe. Through relationships with these two organizations, Ancestry.com is digitizing and putting online a unique collection of records that can now be searched alongside the large collection of Jewish records already accessible on Ancestry.com. Ancestry.com has also put online Miriam Weiner’s Routes to Roots’ Eastern European Archival Database, a significant historical collection that includes references to Jewish and civil records from archival holdings in Belarus, Lithuania, Moldova, Poland and Ukraine. 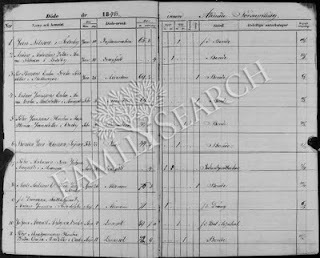 Along with the records from AJHS and RTRF, Ancestry.com will also launch two new collections from JewishGen, including Lithuania: List of Donors of Charity from HaMagid (1871-1872), the Persian Famine donation list printed in the Hebrew newspaper HaMagid, and Hungary: Jewish Census (1848), a survey of Jews in Greater Hungarian countries including Hungary, parts of Slovakia, Croatia, Ukraine and Romania, among others. To search through all the new Jewish record collections and Ancestry.com’s entire Jewish Family History experience visit http://www.ancestry.com/JewishFamilyHistory. Founded in New York City in 1892, the American Jewish Historical Society’s holdings include 20 million documents, 50,000 books, paintings and other objects that bear witness to the remarkable contributions of the American Jewish community to life in the Americas from the 16th century to the present. The Routes to Roots Foundation was established in 1994 with the goal to survey, study, research, inventory and document Jewish material, archives and Judaica in Eastern European archives. The organization fosters and promotes the study and preservation of Jewish genealogical material and assembles, catalogues, publishes and disseminates information from research and study of Jewish materials and compiles, maintains and updates library and/or archive of collections of Jewish historical, cultural and genealogical information.